I did this awhile ago, but someone asked how to do it so I thought I would post it here too, in case anyone else wants to know. This is so easy to do and the result is beautiful. 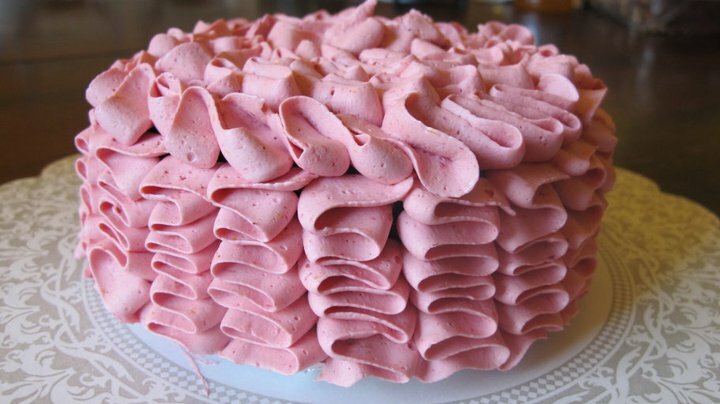 The first time I saw a picture of a cake like this I was obsessed with how to do it. 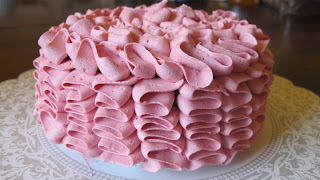 (By now everyone should know how much I love ruffles) I found the video how-to on the My Sweet and Saucy blog. I love all of their stuff; it's all so pretty and looks so yummy! So, of course, they would be the ones to also feature the how-to video on how to do this ruffled cake.